This creation is rather straightforward, but there are some subtle quirks. 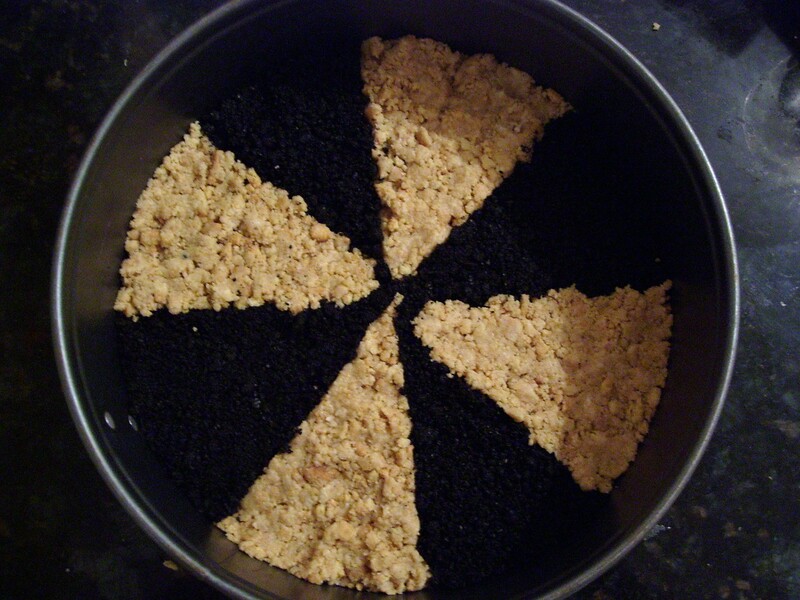 The crust of the cake is a pinwheel of alternating bitter paprika-infused Oreo and sensitively sweet Golden Oreo crust, a juxtaposition to highlight the black and white essence of Rorschach’s character. Gobs of dark ganache are dropped carefully into a standard vanilla cheesecake filling for the body so that the black and white do not swirl. 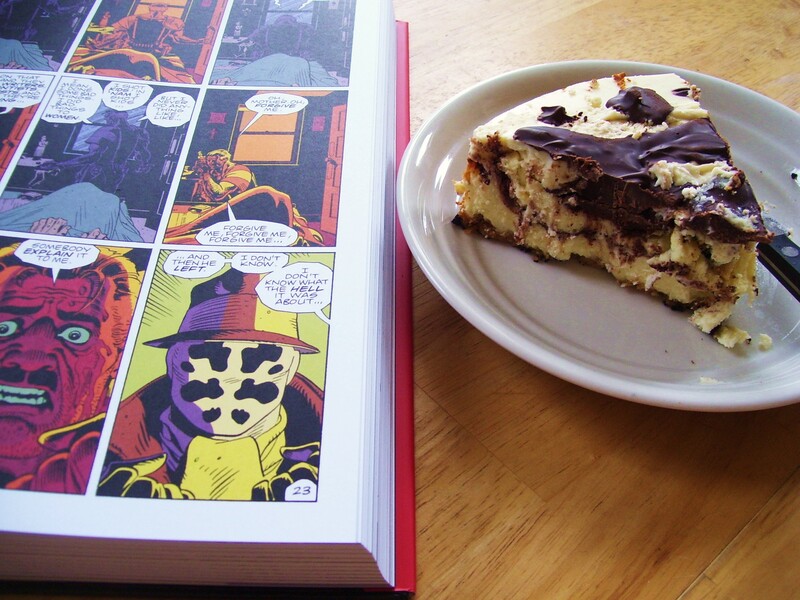 Finally, a layer of solid white and dark chocolate mimics one of the ever changing Rorschach blots on his face. Rorschach is a dense, dark character who harbors a keen and intense obsession with justice. 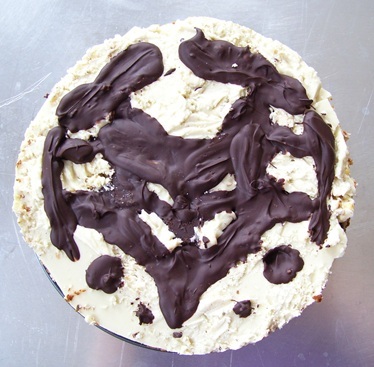 Hopefully the shock that comes with each bite of this cake– crunchy chocolate against smooth ganache, bitter and sweet vying for dominance– will be effectual reminders of Rorschach’s character. Ohhhhhhhhhh snap. This looks even better than I thought it would. I still can’t believe you pulled off the alternating crust – it’s beautiful. plz to mail me some now? Also, this has to be the most threatening cake I’ve ever seen. I guess Rorschach blots are creepy no matter what/how delicious the medium is.